The impact and influence of Local Enterprise Partnerships (LEPs) are making the difference where it really matters, in the villages, towns and cities across England according to the author. 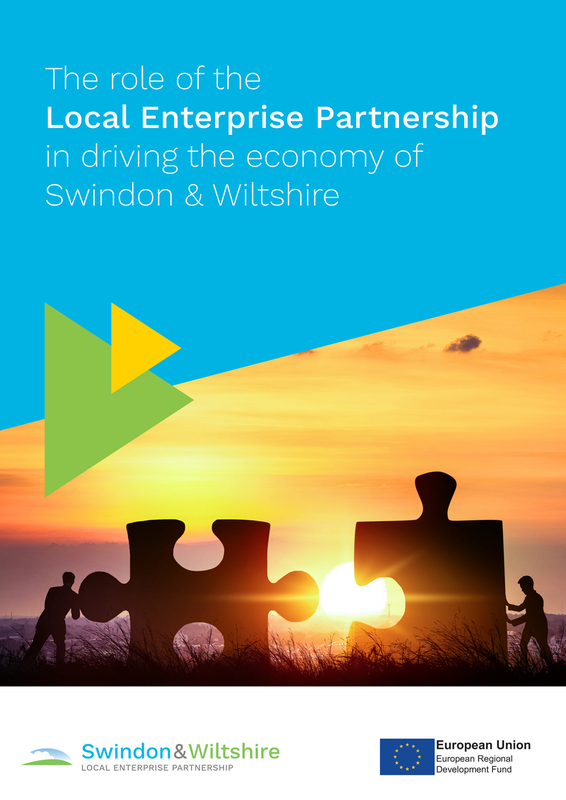 Also, we find out about the work of Swindon and Wiltshire Local Enterprise Partnership (SWLEP) in driving the economy – indeed Bradley tells us that a resourceful and resilient local economy gives strength to the communities and makes the area a good place to do business in. Crucially, the SWLEP sets the economic priorities for Swindon and Wiltshire and facilitates projects that help accelerate both economic growth and job creation in the region. We go on to learn that skills and talent is the SWLEP’s current number one priority. This is evidenced by the fact that SWLEP allocated £22.03 million worth of investment to improve facilities at the Salisbury and Lackham campuses of Wiltshire College. We then go on to learn more on the organisation’s place-shaping activity, which aims to reinvigorate their key settlements and support the appropriate development of their city, towns and villages as both attractive and comfortable places for people to live and work in. About digital capability, SWLEP underlines that digital infrastructure is a key element for businesses in the area to operate successfully. As such, they are investing £3.5 million of their local growth fund in two schemes to support the development of the Swindon and Wiltshire digital infrastructure which will draw in an additional £3.4 million of investment as match funding. On the areas of business development, we discover that there are three main elements to SWLEP’s work in this field, the first of which is managing their growth hub to provide a single gateway to business support. The second is to create an environment conducive to good business development by coordinating the work of local authority regulatory services. The third is to invest in science and digital incubation centres and businesses – to support innovation and high-value jobs growth. Other areas in this article covered include Better Business for All (BBfA), a UK government initiative that brings together businesses and regulators in partnership to improve how local regulation is delivered, easing the burden on business and reducing the real and perceived regulatory barriers to growth. Finally, we are told about the many ways in which you can become involved with the work of the SWLEP, such as joining the board or attending their meetings and participating in the question time, or perhaps you would like to become a business mentor to support start-ups or smaller businesses? I hope you enjoy the many valuable insights that this in-depth publication offers.